PURPOSE: The dress code at St. Mark’s School is to help provide a safe learning environment that emphasizes the dignity of each student as well as developing pride in the school. It allows the student to focus on academics rather than on dress. It helps eliminate competition for expensive and/or fad clothing. The school’s dress code also serves to develop healthy attitudes regarding Christian modesty. Compliance with the dress code is an expectation of each student attending St. Mark’s School. Parents, guardians, students, teachers, and staff must be knowledgeable and supportive of the school’s dress code. WHERE TO PURCHASE: Uniform items included in St. Mark’s Uniform Dress Code may be obtained from our preferred supplier at Educational Outfitters of Boise, 595 S. Americana Blvd., Boise, ID 83702, www.educationaloutfitters.com/boise. Many stores have uniform sections including J. C. Penney, Land’s End, Dennis Uniform, Gap and others. All uniform items purchased must be uniform-style and exactly the same as those verified at our preferred supplier. WHEN PURCHASING ANY UNIFORM ITEM, remember to refer to this Uniform Dress Code before purchasing items, as not all items in a store’s uniform section are part of our dress code. A limited number of used uniforms are available through the uniform exchange at the school. Navy or Columbia blue polo shirts for sixth, seventh and eighth grades (Middle School) may be purchased and sweatshirts and spirit shirts must be purchased at the Online Spirit Store at http://gts.tuosystems.com/stores/smcs. Middle School shirts not purchased through Online Spirit Store must be embroidered/screen printed with St. Mark’s School logo at Educational Outfitters for a minimal fee. Please feel free to call the office if a particular item of clothing is in question or if you have any other special concerns. Enforcement: Classroom teachers and school staff will enforce the dress code. On a student’s first violation, a verbal warning will be given to the student. Additional infractions will result in a lunch detention to be served on the day of the infraction. Parents may be called for appropriate clothing to be brought to school for the student to change in to. Under all instances, interpretation of the Uniform Dress Code is at the discretion of the Principal. - Clothing must be clean, hemmed, pressed, and free of holes or rips. - Sweatpants, athletic pants and athletic shorts are not allowed to be worn on Spirit or Free Dress Days. - Leggings are only allowed under a jumper or skirt that is 3” above the knee. - Hair styles should not become a distraction to the learning environment for the individual or for others. Hair must be clean, neat, trimmed and kept out of the face. Unnatural artificial hair coloring, extreme haircuts and extreme hair bleaching or dying are not allowed. Male students’ hair should be cut above earlobes and should be off of the collar. - Hair wraps and beading are not allowed. Bows and hair accessories must be navy, white or school plaid. - Good personal hygiene must be practiced. - Hats, caps, bandanas, and scarves are not to be worn inside the buildings. - Body piercing, tattoos, and facial hair are unacceptable. - Ear piercing is okay for girls only. Only studs may be worn, no loop or dangly earrings. Jewelry should be worn in moderation and in good taste. Excessive jewelry and ornamentation is not acceptable. - Modestly painted fingernails for girls only. - Minimal makeup is allowed for girls in the 7th and 8th grades only. Particular fashion or trendy items may be declared unacceptable if they are not in line with the philosophy of St. Mark’s School. If a student grows out of a uniform item before the end of the school year, St. Mark's is willing to trade that item from our Uniform Exchange supply if the size needed is available. 6th, 7th & 8th: White, navy or Columbia blue polo shirt with “Saint Mark’s School” logo embroidered or screen printed. All shirts should fit properly, no tight or short shirts are allowed. K-5th: St. Mark’s navy or Columbia blue sweatshirts, crew or hoodie. Must have collared uniform shirt underneath. Non-uniform sweatshirts/hoodies are not allowed in classrooms or at Student Body Mass. Uniform sweatshirts are only available for purchase through the Online Spirit Store or Educational Outfitters. 6th, 7th & 8th: St. Mark’s navy or Columbia blue sweatshirts, crew, hoodie or ¼ zip. Non-uniform sweatshirts/hoodies are not allowed in classrooms or at Student Body Mass. Uniform sweatshirts are only available for purchase through the Online Spirit Store or Educational Outfitters. Vests and Cardigans: Navy blue or red, zipper or button up. No hoods, logos or symbols. Must be purchased at Educational Outfitters. FULL ZIP JACKET: Navy blue with school logo. Must be purchased at Educational Outfitter. Pants: Twill or corduroy uniform dress pants must be the classic uniform style dress pants. Pants should have slash style pockets. Not allowed: cargo, oversize, baggy, low or midrise, hip-huggers, bell-bottoms, flares, knit, leggings, skinny or tight-fitting, elastic waist or ankles, rivets, extra zippers, back sewn-on pockets, or overly faded pants. No longer than the top of the foot. NO PATCH POCKETS ON FRONT OR BACK. NO label, logo or symbol indicating brand. Pants may not be tucked into dress boots. 6th, 7th & 8th: Navy blue or khaki. Shorts: Twill uniform walking length shorts, must be the same style of classic uniform walking shorts, without extra trendy embellishments. Worn in the spring and fall at principal’s discretion. No shorter than 3” above the kneecap, and nothing below the kneecap. No shorts allowed at Student Body Mass. NO label, logo or symbol indicating brand. CAPRIS: Girls only, classic uniform style, no knit or skinny legs, must be mid-calf without cuff, rolled up or drawstring legs. Worn in the spring and fall at principal’s discretion. 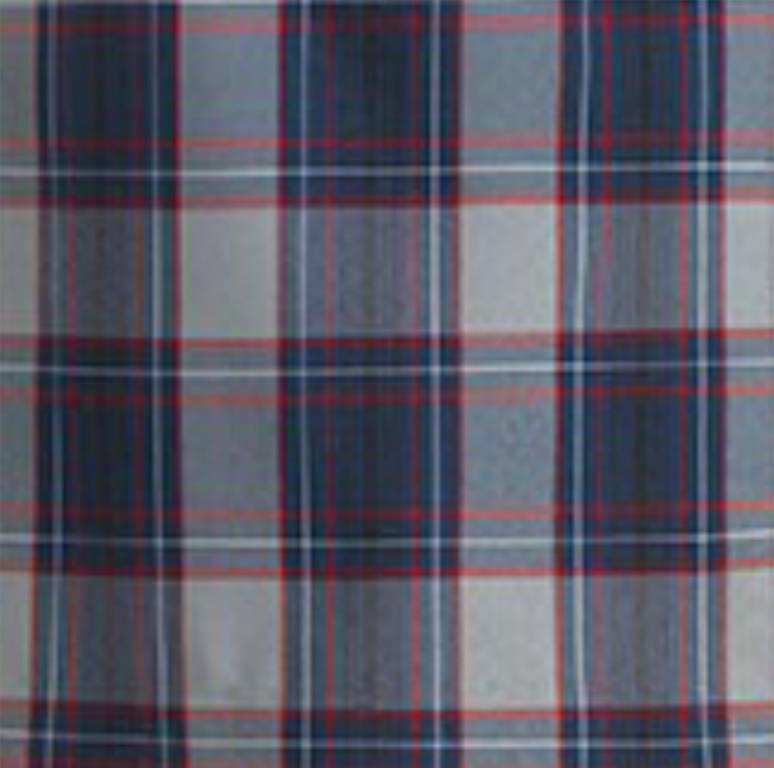 K-5th: School Dunbar plaid 100% polyester (not poly/cotton) four-button bibbed, v-neck and knife-pleated. No shorter than 3” above the kneecap. K-5th: School Dunbar plaid 100% polyester (not poly/cotton). No shorter than 3” above the kneecap. 6th, 7th & 8th: Navy blue or Khaki twill pleated. No shorter than 3” above the kneecap. 6th, 7th & 8th: Belts are required for Grades 6, 7 and 8. Belts are to be solid black, brown, tan or navy blue leather or faux, free of embellishments, must have standard buckle. Shoes: Shoes should be sturdy and safe. Dress shoes and boots in white, navy, brown, gray, or black with low heels and heel enclosure or back strap are permitted. Athletic shoes (no lights, glitter or fluorescent colors) are acceptable any day. Athletic shoes are required on P.E. days. Shoes with laces must be tied at all times and laces must match the main color of the shoes. Sandals allowed, but must have back straps. Flip-flops, cowboy boots, slippers and cleats are considered unsafe and are not acceptable. Snow/rain boots (ie. Uggs) may be worn on rainy or snowy days only and must be removed in the classroom. If you question if shoes are acceptable, please contact the School Office. Socks/Tights: Solid color socks are required every day and must be solid white, black or navy blue. Elite or similar socks are not allowed. Tights must be solid navy blue or white. Footless tights (plain, without lace, etc.) must be solid navy blue or white and reach the ankle and must be worn with matching color socks. K-5th: Solid color socks must be white, black or navy blue. 6th, 7th & 8th: Solid color socks must be white, black or navy blue. Students are required to be in uniform, except for special days on which non-uniform dress is permitted or on official meeting days for Scouts. One day each month is designated as a free Spirit Day and an optional $1.00 Spirit Day will be held each month. On Spirit Day, students may wear jeans or solid colored shorts (seasonal) in good condition, a St. Mark’s spirit T-shirt and a St. Mark’s sweatshirt. Students must continue to follow Students’ Overall Appearance Guidelines on Spirit Days. Spirit wear (sweatshirts and spirit shirts) must be purchased at the Online Spirit Store at http://gts.tuosystems.com/stores/smcs. Shorts and hoodies are never allowed at Student Body Mass. Boys- A clean, white, button down dress shirt with a school plaid (available at Educational Outfitters) or navy tie (available for purchase in the School Office) must be worn on Mass days. Navy or red sweaters or cardigans may be worn along with the shirt and tie. Uniform pants in navy or khaki (grade-level appropriate) must also be worn. Girls- A clean, white, button down blouse must be worn on Mass days. Girls may wear a St. Mark’s uniform (Dunbar plaid) or navy crossover tie. Navy or red sweaters or cardigans are also allowed. Uniform pants in navy or khaki or jumper, skort or skirt (grade-level appropriate) must also be worn. Boys- may wear nice khakis or slacks with a dress shirt and tie. Game jerseys are allowed to be worn over shirts and ties. Girls- may wear a nice dress or skirt with an appropriate blouse. Game jerseys are allowed to be worn over blouse or dress. Further guidelines for Game Day Dress are up to the discretion of principal. Appearance must be neat, clean and respectable, following the Students’ Overall Appearance guidelines.